Looking for Great Game Cooking Tips? Great game cooking does not just happen with a few spices or venison wild game recipes but requires processing meat properly. What to do with venison or wild hog!? Once the hunters have shown up with their prize meat and pictures, the women generally get the meat and wonder “WHAT NOW? !” Sometimes we are blessed to have had someone field dress it (nice way of saying skin, gut and maybe even debone the meat!) Other times we have to start from the very beginning. Youtube videos and The Encyclopedia of Country Living were what helped me learn to butcher meat on the bone(s). Once I could get the meat off the bone I really wasn’t sure what to do next. Field trips are rarely to meat processing plants thus many of us have NEVER seen or even studied what exactly happens before the meat gets to our plate! When I first got meat from various friends I would just try to cook it as I did meat from the store. I would end up with a great meal sometimes and a weird tasting (gamey?!) meal other times. I wanted consistent great game cooking! I started noticing the weird tasting meat was from an individual that did NOT hang their meat overnight. Sometimes they didn’t hang the meat because the temperature was too warm to have it outside overnight, other times it was because they were in a hurry to leave the hunting camp. I began looking for somehow to “age” the meat. Have you looked through the butcher’s window and seen meat hanging? It is such an important step!!! What is the layman’s answer to hanging meat? 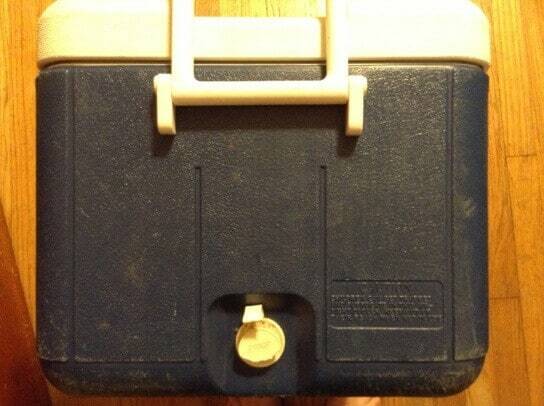 We put meat in an ice chest that has a drain. Cover the meat with ice and empty the water anytime the ice starts to melt. I leave the ice chests in my garage and have to drain the water 3 or 4 times a day when the temperatures are warmer but only once a day if we have a really (unusual) cold snap. 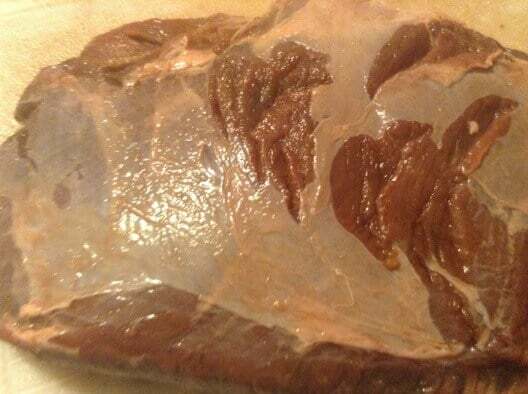 Do NOT leave the meat in water, you want to keep it cold with the ice and drain the bloody water off. Continue icing and draining until the liquid drained off is completely clear. We drain the bloody water at the end of our driveway where it will run down the curb. Rinsing such off keeps the neighbors from wondering what is going on or the loose dogs from coming around. The color of the meat will be much lighter after this process is completed! This one step made such a difference in having great game cooking my husband now eats venison just as he would beef! Cut the meat in portions that you will cook (venison tenderloins, venison roasts, venison steaks, pork loin) and freeze. Do not trim off all the fat. 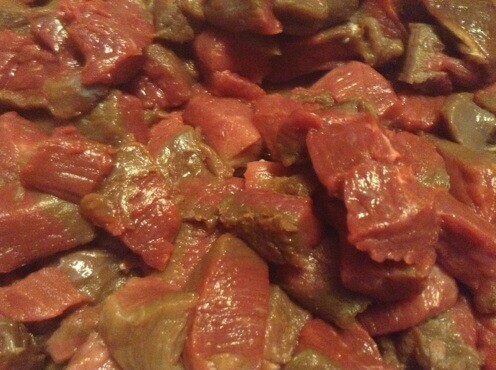 There is precious little fat on venison and it protects the meat in the freezer and holds in moisture during cooking. The one time you want to trim the meat very closely to get all fat and sinew off is when you are going to grind it. Mark those pieces before freezing. If you have the time and energy go ahead and cut them into 1-2 inch pieces before freezing! Freeze the meat properly- as you would meat from the store. Use freezer paper as per the instructions on the box when you freeze the meat. Make sure air does not get to the meat. I have not personally used a vacuum sealer but know some have great success freezing meat in vacuum sealed bags. Follow these tips for great game cooking! Comment below if you are processing venison. Watch for our Wild Game Recipes!